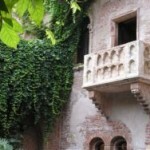 I hope you didn’t think I was going to write only about Romeo’s and Juliet’s legacy; I did that already in another post. 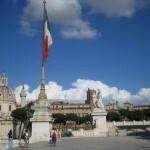 So, this article will be about the main attractions in Verona other than Juliet’s house and other Shakespearean legends. 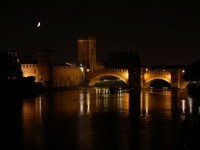 This is mainly, because,Verona has a very rich historic and cultural heritage that you absolutely must experience. In other words, this is another Italian city ready to offer you an amazing incursion into this country’s beautiful culture and history. 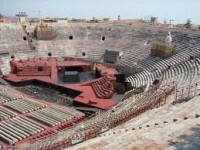 The Roman pink marble arena was built in the first century AD and was fortunate enough to survive an earthquake in the twelfth century to become the legendary open-air opera inVerona, with 30,000 seats. Placido Domingo gave his first performance here and the annual opera season from June to August held here includes 50 representatives supported the worldwide known artists. The Verona Arena is the third Roman amphitheater after the Collosseum and El Jem inTunisiawith a capacity of over 22,000 people in the 44 rows of seats, therefore one of the largest and best preserved Roman theaters of the time. In ancient times it was intended to accommodate gladiator fights and also market activities, but the former sounds more interesting, doesn’t it? You can visit it whenever there aren’t concerts organized and the ticket costs 3, 10 Euros. To be truthful, if you didn’t have the chance of visiting the Collosseum, the Verona Arena will pretty much serve the same goal and will definitely impress you just as much. 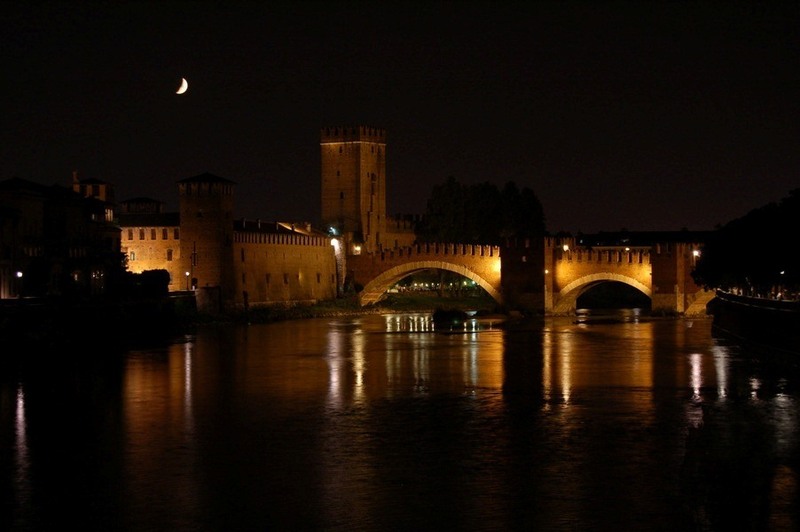 The most important collection of art in Verona is Castelvecchio, a beautiful fortress-palace, situated on the Adige River. The castle, an imposing civic building of medieval Verona, was built between 1354 and 1356 at the orders of Cangrande II della Scala. The project of the castle was conceived by Scaliger as a defense against invasion and against popular rebellions. The strategic position of the city led to the development of a fortification system. Also, one should remark the Scala Bridge which is accessible from the castle, having been designed to offer an easy and fast gateway for the noble family living there. Nowadays, the castle functions as an Art Museum, housing paintings and sculptures dating from the 13th to the 18th centuries. 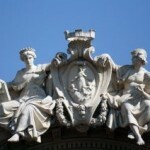 Moreover, there is also a collection of ancient weapons, of old coins and stamps as well as an art library. The museum is opened from Tuesday to Sunday, from8.30 am to7.30 pm, Monday from1.30 pm to7.30 pm and the ticket house closes at6.30 pm. If you get to see these two sights, then you may consider yourself very lucky because they are indeed the main attractions in Verona. And there are of course several beautiful squares and churches that are sure to make your trip a very pleasant one; also, the romantic atmosphere created by Juliet’s and Romeo’s houses and long living love story guarantees a wonderful experience and loads of stories to tell back home.